The guaranteed product life is 24 months. They can easily and quickly glue paper, cardboard, photo, clothes, etc. 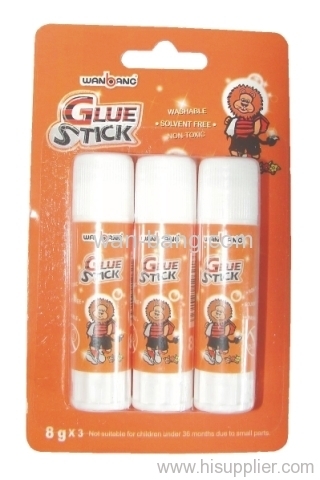 Our glue stick respects the environment because of the absence of solvents. Non-toxic, Acid-free, Solvent free, Washable in water, Safe to all users. Best airproof container with recycled pp material. Test Reports of MSDS, TRA, USP51, USP61, ASTMD4236, EN71 Part1,2,3 and more. Substances have been pre-registered with REACH.